These nanometers reflect the size of a silicon chip’s components. The smaller they are, the smaller the chip is. Also, shrinking the process node is the leading way to improve power efficiency and reduce the amount of produced heat. That’s of vital importance on mobile devices, which throttle their chipsets as they build up too much heat in a matter of minutes all the while eating through the battery. 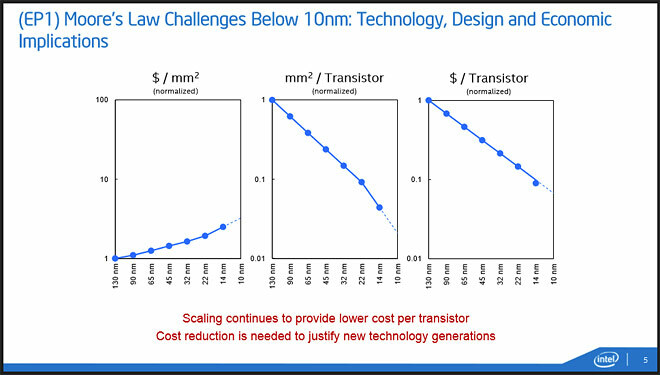 Getting to 14nm with Broadwell was a difficult path with several delays to get the manufacturing process just right. 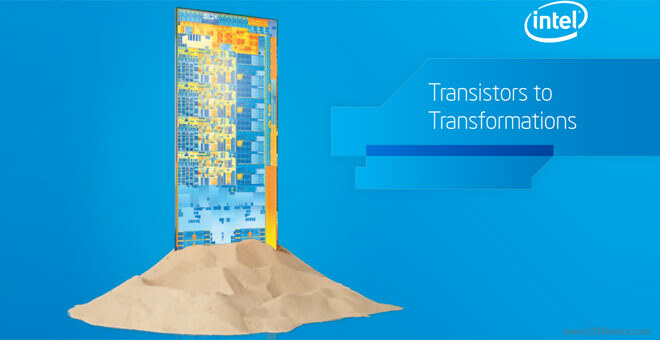 Intel senior fellow Mark Bohr says that 10nm is expected in 2016 and things on the new process are going twice as fast as they did for the 14nm process. After that comes the 7nm process, which is expected in 2018, which Intel believes can be achieved without exotic manufacturing methods. There’s an often misquoted Moore’s law (named after Intel co-founder Gordon Moore) that states that the number of transistors on a chip doubles every two years. This is often simplified as “the power of a chip.” Anyway, this is made possible by making transistors smaller, otherwise chips will get too big, too expensive and too hot. The death of Moore’s law has been predicted for years, but Intel will keep it alive at least until 2018.